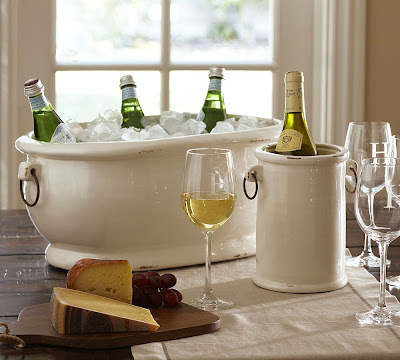 I bet it seems like I post twice a month about things I'm drooling over at Pottery Barn. You're not far off. 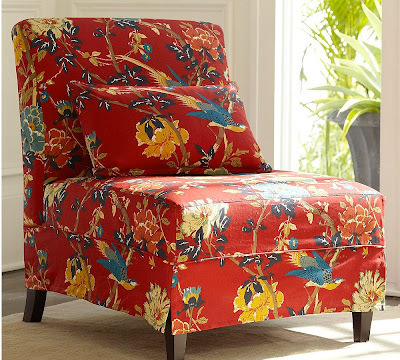 I'm more of a fan of Fall, in general, but Pottery Barn's Summer collections are gorgeous. Of course, they can make ANYTHING desirable. If they photographed a chaise lounge made out of hemp and dung, I bet it would look awesome. 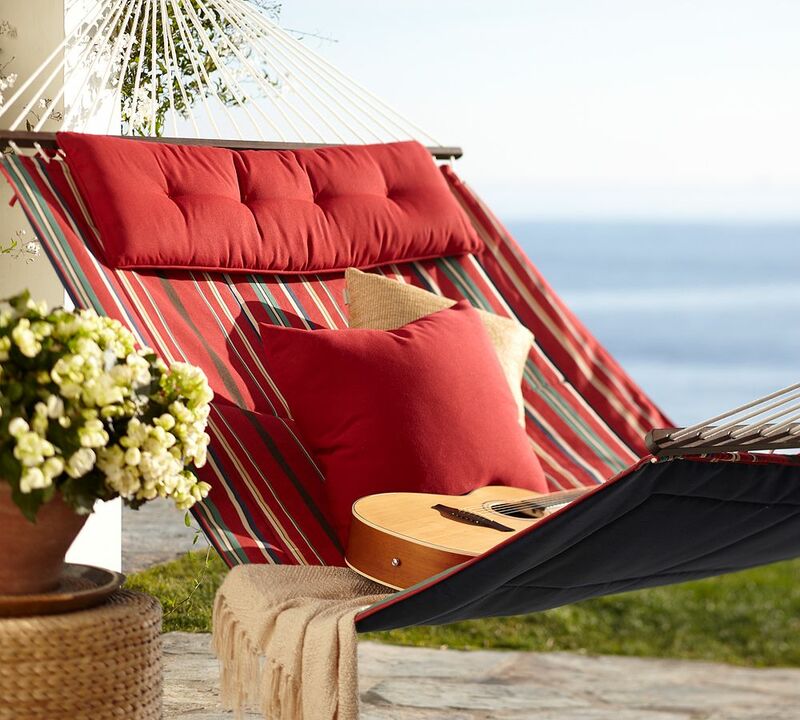 Luckily this hammock seems to be made out of the regular old stuff, cotton or what have you. It's the Hammock Sling ($149), and when I clicked on it, the mean Web site said they were out of it in this stripe. LOVE, though. It's funny how when I page through a catalog, I'm drawn to the same colors repeatedly. Soon after I marked the page featuring the hammock, I marked this one so I'd remember this Brooks Armless Chair ($599). If there was a room in my house that needed a chair AND I HAD $600, this baby would be mineallmine tomorrow. 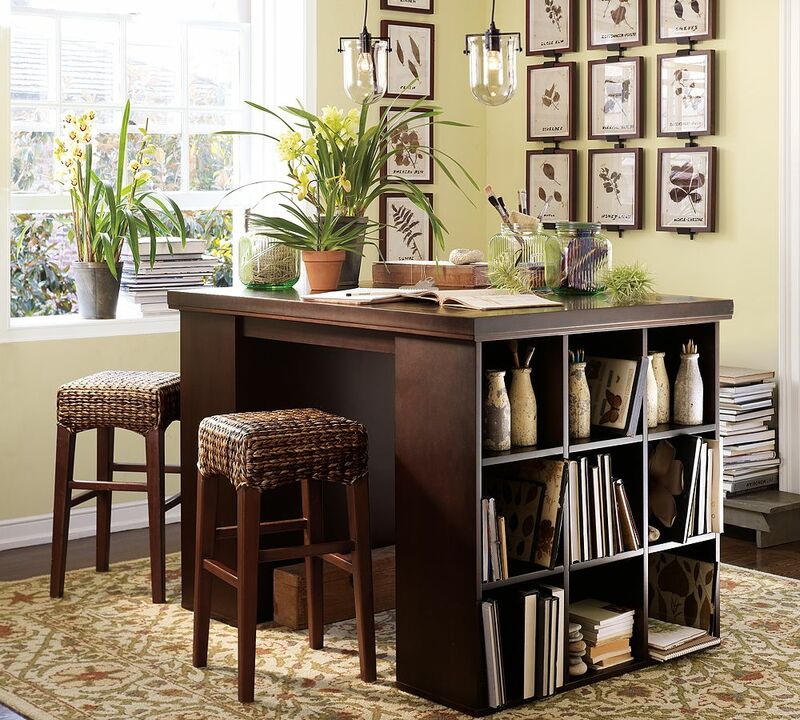 Do you know what would happen if I had this Bedford Project Table ($949)? 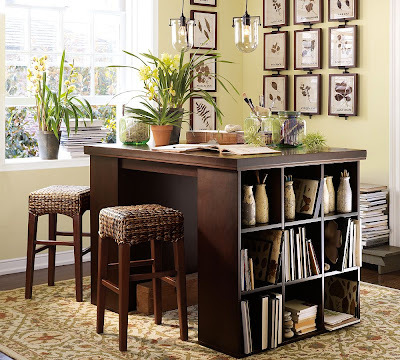 Right where some photo stylist artfully arranged the vintage milk bottles holding pencils and the slim books leaning playfully to the sides, on MY Bedford Project Table would be Tinkertoys, Army men, tiny LEGOS, gum wrappers and maybe a pacifier. I say this with confidence because that's what every other surface and cubby in my house is littered with. So, it won't be finding its way here at any point, but that doesn't keep me from admiring it! Do you have a Bucket List? I don't, but do people put home improvement tasks on them? Because if they do, then I definitely need one. 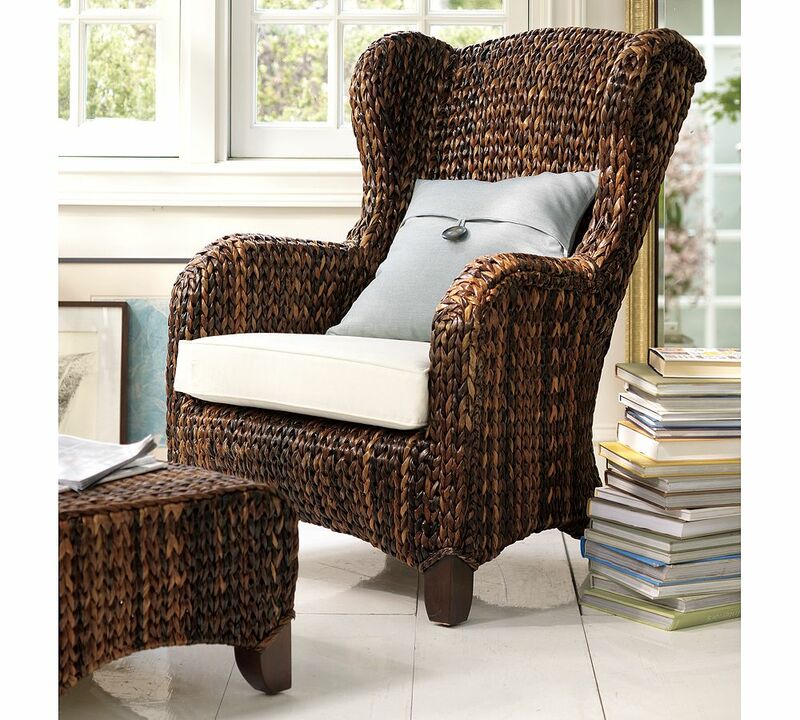 Building a screened-in porch would be on it in the #1 spot, and furnishing it with four of these Seagrass Wingbacks ($599 for the chair and ottoman) would be item #2. And if they'd ship me that big stack of books, too, I'd just curl up and start reading. 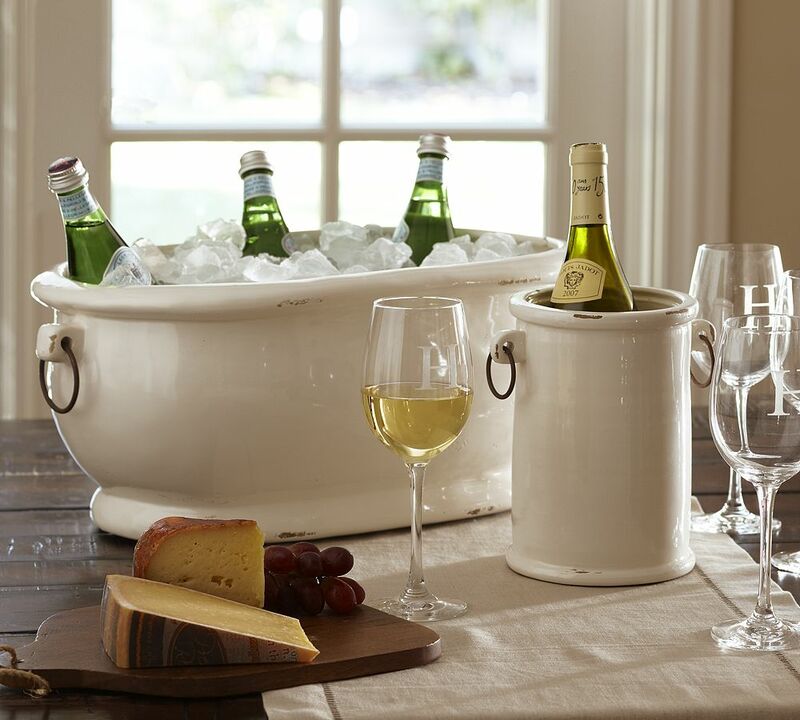 And lastly -- for this week, anyway -- I stopped in my tracks when I saw this Rhodes Party Bucket ($99). First of all, I stopped in my tracks because I couldn't believe they're charging $100 for a drink cooler, but then again, it's PB. I shouldn't be surprised. But I also stopped in my tracks because I just can't believe how cute the bucket is. It looks like a miniature old-timey porcelain bathtub!